Nordiskt Forum Malmö 2014 New Action on Women’s Rights is a conference arranged by the women’s rights movement of the Nordic countries. 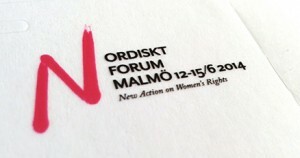 From June 12th – 15th 2014, around 15,000 people are expected to gather in Malmö, Sweden, to shape new strategies to promote gender equality and end discrimination against women. Discussions will be based on the landmark agreements for women’s rights: the Beijing Declaration and Platform for Action (1995), and the Convention on the Elimination of all Forms of Discrimination Against Women (CEDAW) (1979). Representatives from numerous different sectors including NGOs, activist networks, government, academia and private enterprise, as well as members of the public, will be able to discuss gender equality, formulate new strategies to promote human rights and, above all, bring forward the debate on women’s rights.Right in the middle of the sessions, on Friday 13th from 14:00 to 16:00h in the Sundström hall, the International Platform for Equal, Non-Transferable and 100%paid Parental Leave (PLENT) is co-organising a round table debate with the title “Yes we can! 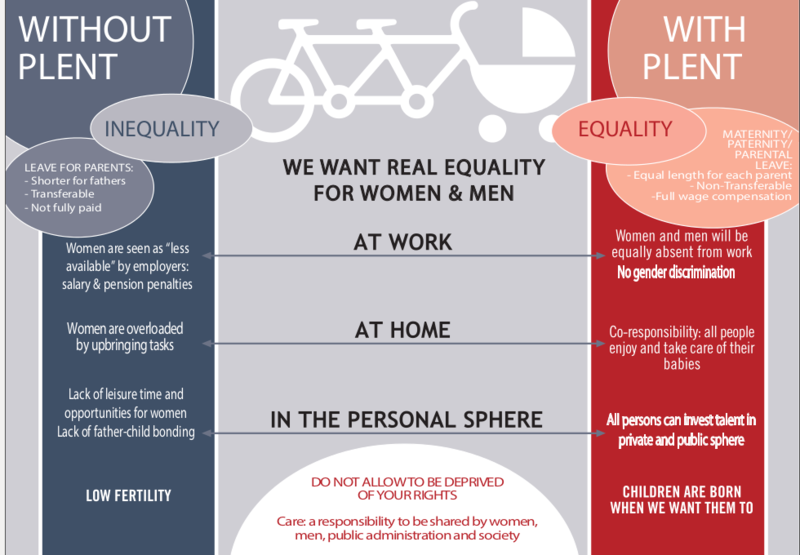 A Europe for equal non-transferable parental leave” on what would an equal and non-transferable parental leave mean for women’s economic independence and equal pay and, moreover, what would it mean for equality in the labour market, what incomes and expenses would it bring, etc. The PLENT-reform ideas on parental leave will be presented with facts and figures and discussions on the future of “shared” parental leave. Besides the conference sessions, PLENT attendees from various European countries will be meeting to share experiences and discuss future actions of the Platform. If you intend to attend the Forum, and are interested in participating as a PLENT member in the parallel meetings and discussions, do not hesitate to contact us. Tagged Nordic Forum, PLENT News. Bookmark the permalink.